Glastonbury Thorn – Dig Delve – An online magazine about gardens, landscape, growing & making. December reveals the bones of the landscape. Mud where there was grass, bare stems where there was foliage and, by this late in the year, almost everything drawn back and in retreat. Not so the Glastonbury Thorn. Missing the winterising gene that triggers dormancy and stirring when there is barely enough light or warmth to sustain growth above ground, Crataegus monogyna ‘Biflora’ is pushing against the flow. A scattering of young foliage is greening limbs that only recently were fully clothed and a push of pale flowers braving the elements. 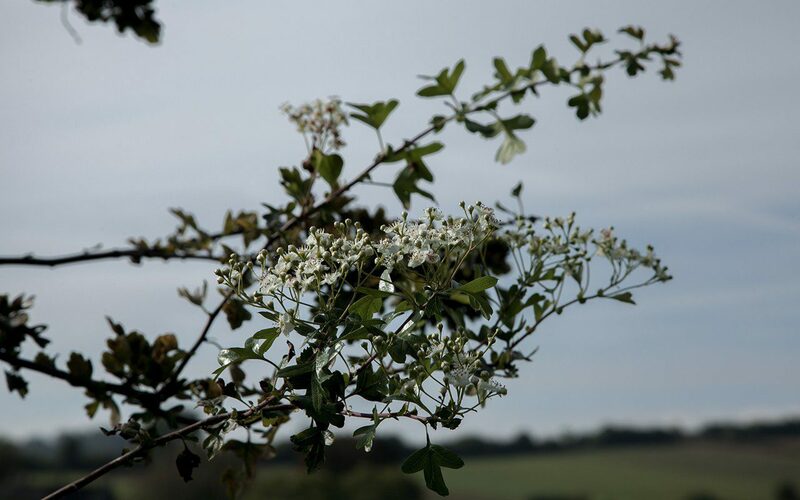 Flowering twice, once in spring in celebration of the resurrection and then again at Christmas to mark the birth of Jesus, the habits of the Glastonbury Thorn are understandably surrounded by legend. Joseph of Arimathea was reputed to have visited Glastonbury with the Holy Grail. Thrusting his staff into Wearyall Hill it sprouted and grew into the original tree which, for superstitious reasons, was cut down and burned during the English Civil War. A subsequent tree (planted from cuttings taken by locals and fostered since then in the area) replaced it in 1951, only to be vandalised in December 2010. Its limbs were crudely dismembered and subsequent growth the following March was mysteriously rubbed out. Then, on 1st April 2012 a sapling grafted from a descendant of the pre-1951 specimen was planted again on the site, only to be snapped in half and irreparably damaged sixteen days later. As I like a story, and the thought of sweetening a sad one, I set out to find a tree when we moved here to give the magical thorn another stronghold. As all the plants are reputed to come from grafts taken from the original tree, the search revealed how few people grow it and how hard it is to find. Our friend and fellow gardener, Hannah, made me a present of one for my fiftieth birthday and now here it is, by the gate to the pear orchard, in all it’s curiosity. Though a branch growing in the Churchyard of St. John’s, Glastonbury is taken to the Queen every year on December the 8th by the Vicar and Mayor of Glastonbury, I am too superstitious myself to pick a sprig for the house. 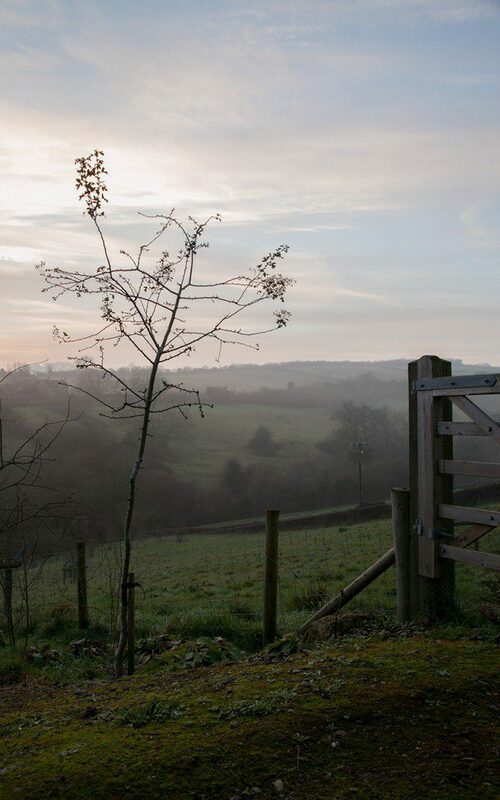 Folklore has it that it is unlucky to bring hawthorn over the threshold and, to compound the story, they say the original tree took out the eye of the man who felled it during the Civil War. I like my tree where it is because the flowers draw me out into a closing-down landscape, which is charged just a little by their miraculous show on the darkest days of the year.